American Steven Nyman charges down The Brink during the second day of downhill training in Beaver Creek on Thursday, Nov. 30, in Beaver Creek. Nyman says that one of the motivating factors in his rehabilitation from a knee injury is making the Olympic Team. BEAVER CREEK — While Steven Nyman was unsure of whether he’d compete on Saturday, Dec. 2’s Birds of Prey downhill — on Thursday, Nov. 30, he pulled out of the race — one thing he is certain of is he wants to compete in the Olympics. Indeed, the Winter Games in Pyeongchang, South Korea, in February are looming larger in the minds of some than others. Austria’s Hannes Reichelt said Tuesday, Nov. 29, that the main thing that will force him to focus on the Olympics is the fact that the World Cup season takes a break for the Games. Askel Lund Svindal, himself an Olympic gold medalist, expressed similar sentiments. Nyman started thinking about the 2018 Games right when he injured himself in January of 2017. Regardless, Nyman has seen the Pyeongchang course, and likes what he saw. For several racers on the U.S. Team, getting to the Olympics is going to get competitive. American downhiller Travis Ganong said knowing if he’s indeed going to the Olympics is the only way to relieve the pressure Biesemeyer referenced. With every race leading up to the Olympics doubling as an Olympic qualifier, the World Cup, for many, is itself a constant reminder of the Olympics. “Hopefully, after this weekend, I can be in that spot,” Ganong said. 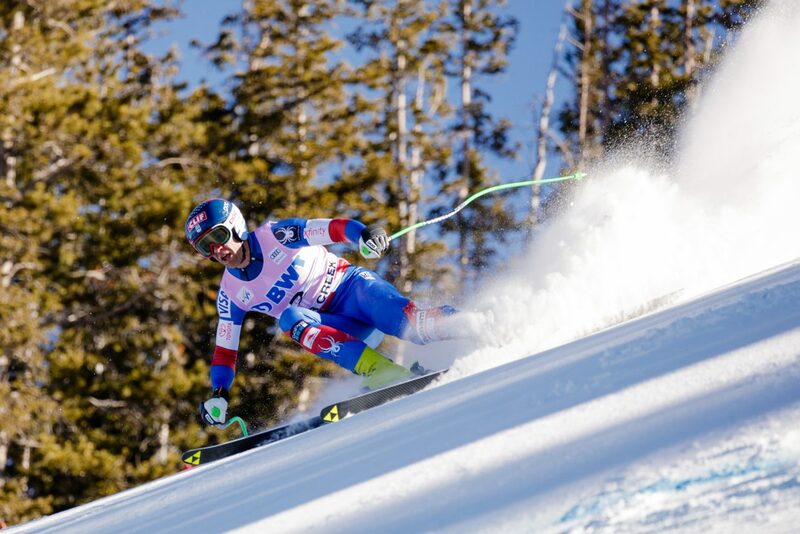 The FIS Birds of Prey World Cup races start Friday, Dec. 1, with a super-G at 10:45 a.m.